a 4-week history of abdominal pain and constipation. of his lower gum. 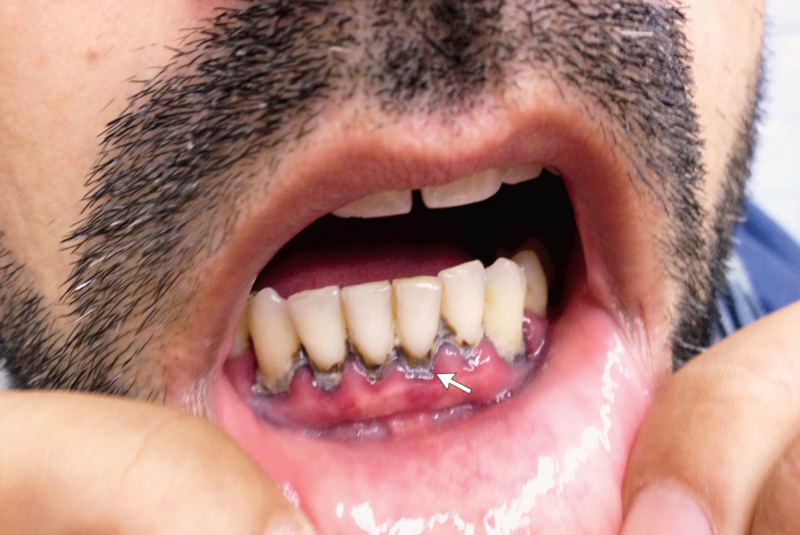 What is the most likely diagnosis? copyright © 医療関係資格試験マニア all rights reserved.